I always over-order when I call in for pizza delivery, because I love having leftover pizza. Because there's so much flavor packed into the sauce, cheese, and whatever toppings you've ordered, pizza adds flavor to salads, cocktails, and can even act as the base to a quiche. Press it into a waffle iron to make a pizza panini, cut it into triangles and make the best Bloody Mary ever, or use it as the base for a lively quiche. Toasted pizza triangles make Bloody Mary cocktails party-ready. 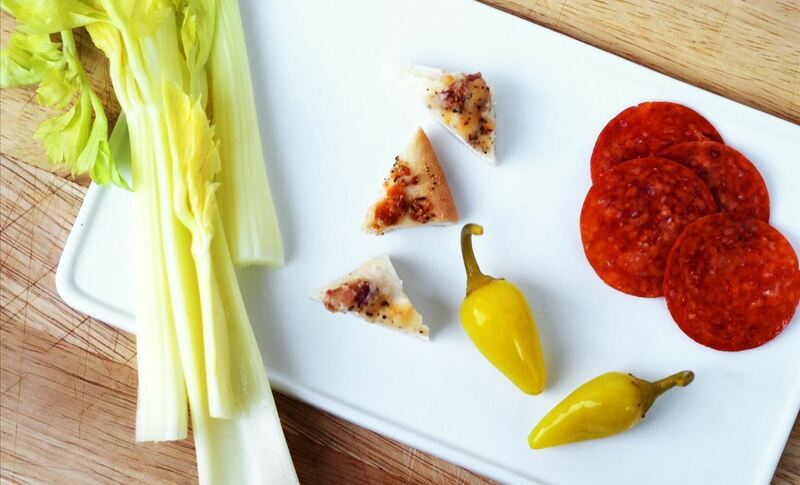 Assemble the ingredients to make your Bloody Marys and organize your garnishes—peppers, pickled onions, pepperoni, and celery will go well with the pizza triangles. Just use your pizza cutter and slice your leftover slices into small triangles. 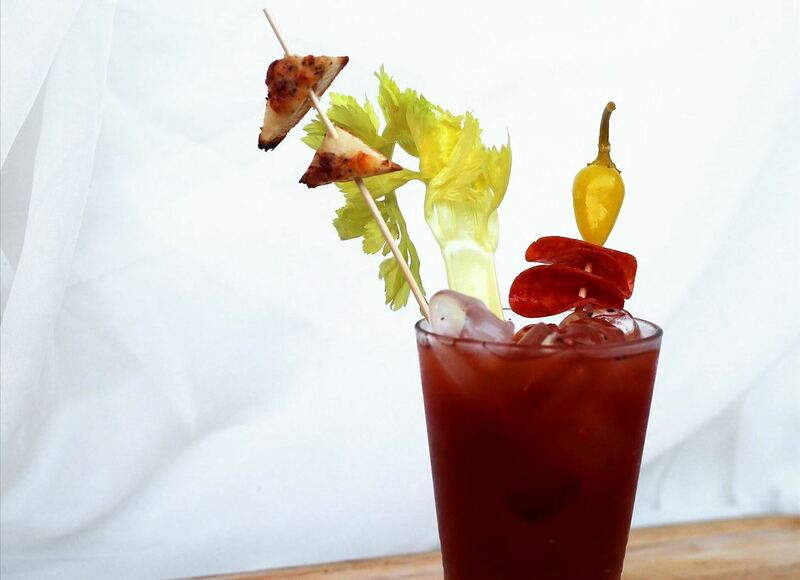 Toast them up until the crust is crispy, and then skewer them and stick them into your Bloody Marys. If this seems a little decadent to you, don't sweat it. There is a bar in Chicago that serves up cold slices of Hawaiian pizza on top of their Bloody Marys. 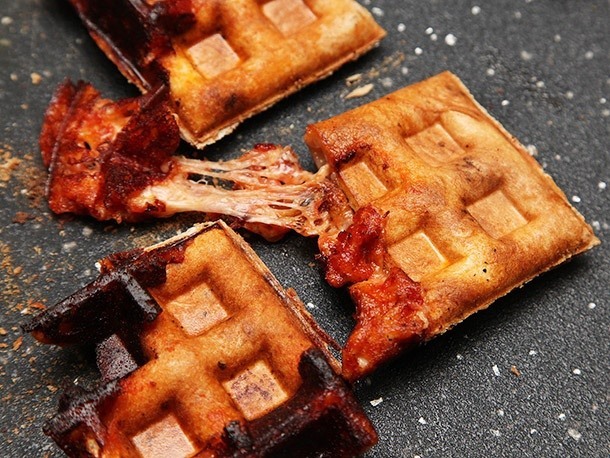 This ingenious idea from Serious Eats has you folding a leftover pizza slice into a triangle before popping it into your waffle iron. The triangle seals shut into an awesome pizza pocket that you can hold in your hand. Voilà! Leftovers transformed into awesomeness. Be sure to check out even more great waffle maker hacks here and here. Leftover pizza makes perfect cheesy and crispy croutons to top salads and soup. Smash two pieces together so that the cheese is enclosed, and then cut into small squares. Fry until crispy in a frying pan, and then use as savory toppings. Get the full tutorial at Thrillist. Swap your quiche crust for leftover pizza slices and you're halfway done. 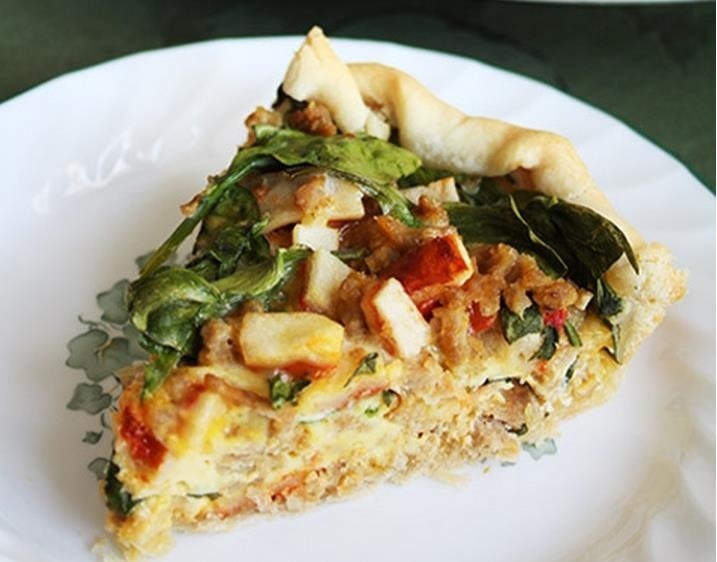 If you want a larger meal for a group, then this Tasty Kitchen recipe uses both leftover pizza slices and frozen crust to make a savory baked breakfast. Want to take it to the limit? 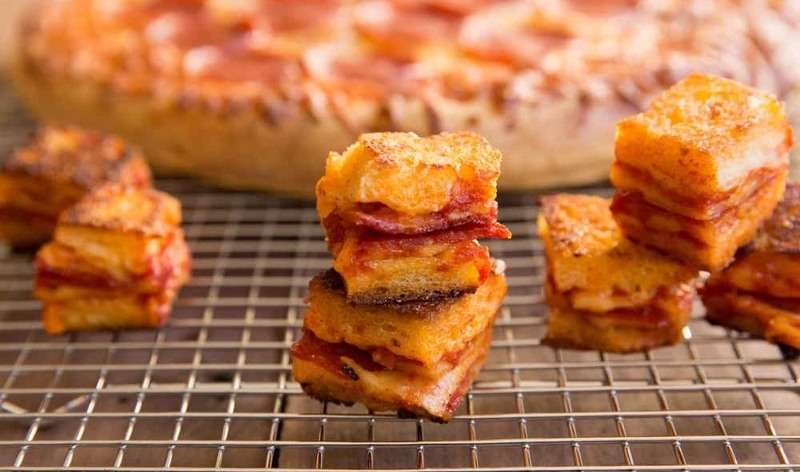 Then you must try these 9 pizza hacks before you die. If you want a homemade pie but are pressed for time, learn how to make two-ingredient pizza dough or try these easy, killer readymade pizza crusts. Avoiding wheat? No problem. Make an elegant, tasty pizza without pizza dough.